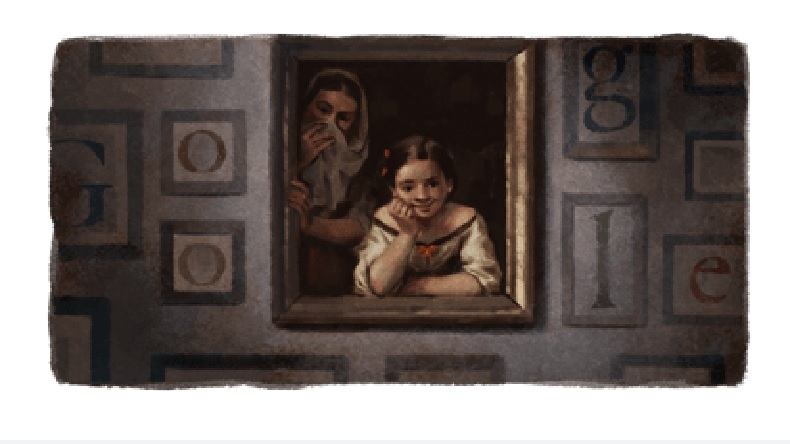 Google has dedicated a graphic doodle of the 'Two women at a window' painting to commemorate the 400th anniversary of the Spanish painting exponent Bartolomé Esteban Murillo on Thursday. Murillo had his own impeccable sense of style, an amalgamation of Flemish and Venetian styles and kept on evolving from his traditional throughout his career as an artist. Out of all his works, 'The Holy Family With Dog'and 'The Adoration of Shepherds' exhibited in the Musel Del Prado are the most famous ones. Remembered for his famous ‘Two women at a window’ painting, Google has dedicated a graphic doodle of the same painting to commemorate the 400th anniversary of the Spanish painting exponent Bartolomé Esteban Murillo on Thursday. The renowned painting which is currently on display at National Gallery of Art in Washington DC was made in the 1655-60 AD. Even though Murillo’s exact date of birth is still unknown, he was baptized on New Year’s Eve in 1618 AD in Seville, Spain. Murillo was the youngest of 14 siblings in his family and had begun studying art in Spain’s Madrid when he was 26 years old. He had tied the knot to Beatriz Cabrera y Villabos and had fathered eleven children with her. He is best remembered for his paintings in which he depicted scenes from history and religious texts, portraits and still lifes in oil and fresco in what was called the golden age of Spanish art. He brought an array of subjects to life through his brush on the canvas, ranging from the opulent ïmmacuklate Conception’ to the gracious ‘Two women at a window’. Murillo had his own impeccable sense of style, a blend of Flemish and Venetian styles and kept on evolving from his traditional throughout his career as an artist. The future generation of revered painters such as Thomas Gainsborough and Jean-Baptiste Greuze were majorly inspired by Murillo’s works. I was looking some museo del prado famous paintings and I realize he have some paintings and I should write about his paintings for http://www.DissertationHouse.co.uk/ but where should I start? I like your post If you mean someone that speaks Spanish I love the works of the Mexican Octavio Ocampo. He is a surrealist and his paintings are amazing. Make sure you zoom in on each painting and you will see a complete different depiction https://thedissertationhelp.co.uk/.